The Music Factory (TMF) was a brand including television and radio channels operated focusing on pop music, the platform is similar to the American MTV to The Music Factory had taken over in 2001. The channel operated until 1 November 2015 in Belgium. 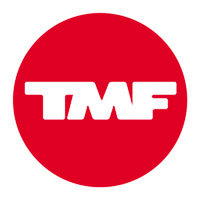 TMF Dance - specialised in German, British, French, Belgian and Dutch trance and house music. Formerly known as "TMF Party". TMF NL - specialised in local Dutch music. TMF Pure - specialised in Soul, and R&B music. On 1 September 2011, TMF Nederland ceased broadcasting in the Netherlands entirely, and on 31 December 2011 all digital channels ceased operations. TMF Flanders (TMF Vlaanderen) was the first international extension of the TMF brand, broadcast to viewers in the Belgian region of Flanders. TMF Flanders first day on air was October 3, 1998. TMF Flanders was the first Flemish-specific channel that was dedicated to video clip broadcast. VJs at the beginning included Stijn Smets, Yasmine, Inge Moerenhout and Katja Retsin. In the early few years, the broadcasts of TMF Flanders were conducted from the same Dutch studio facility that operated TMF Netherlands. TMF Live HD - specialised in live music. On 31 July 2010, TMF Live HD ceased operations. On 1 November 2015, TMF Flanders ceased broadcasting in Belgium entirely, making Comedy Central a 24 hours channel. TMF launched on 30 October 2002 as a counter against EMAP's The Hits request music channel on Freeview. The channel was also available on Sky Digital and Virgin Media. The channel, alongside its music output, showed reruns of successful MTV and VH1 shows such as Pimp My Ride, Jackass and Cribs. There was also a Noggin strand in the morning for pre-school children. On Mondays, TMF used to broadcast The Official UK Top 40 narrated by Phil Clifton, a day after it was broadcast on BBC Radio 1. The show featured videos of the singles of the previous week and charts their position in terms of record sales. On 26 October 2009, TMF UK & Ireland was replaced with the UK version of VIVA. MTV Networks Australia launched a local version of TMF as a fully integrated, multi-platform 24-hour music channel in May 2007. TMF focused on the interactive playground and along with a selection of music video clips including programming and viewer-generated content including images, videos, text-based applications and graphics. Furthering the connectivity between the platforms, TMF was the first music channel in Australia to seamlessly connect all platforms as well as simulcast to mobile 24 a day via the Optus Zoo mobile portal launched in September 2007. However, in November 2010, TMF Australia was replaced with an Australian version of MTV Hits. In addition, there was the TMF Game Awards, an annual awards show for games. In 1995 multimedia company Arcade and former DJ Lex Herring received an idea to set up a Dutch music channel. In contrast to countries like Germany (VIVA) and France (MCM), the Netherlands did not have a national music channel. Harding, at that time director of Radio 538, felt that the time was right. And so within two months by a handful of people, led by Lex, with might and worked on the launch of "The Music Factory". On May 1, 1995 at 16:00 it was so far, TMF started with a spectacular live shows which include all VJs (video jockeys) were asked for and the programming was announced. Only it is called in the very beginning still MC6. VJs who were there from the beginning were: Erik de Zwart, Fabienne de Vries, Isabelle Brinkman, Michael Pilarczyk, Ruud de Wild, Sylvana Simons and Wessel van Diepen.